Ordering an Apitius mandolin is a three step process as follows. $500.00 USD secures a position on my waiting list. At this time an expected start date will be given and the purchase price will be locked in. If, for any reason, I am unreasonably late on starting your instrument, you may request to have this deposit returned with my apologies. In all other cases, this deposit is non-refundable and will be applied, in full, to the purchase price. 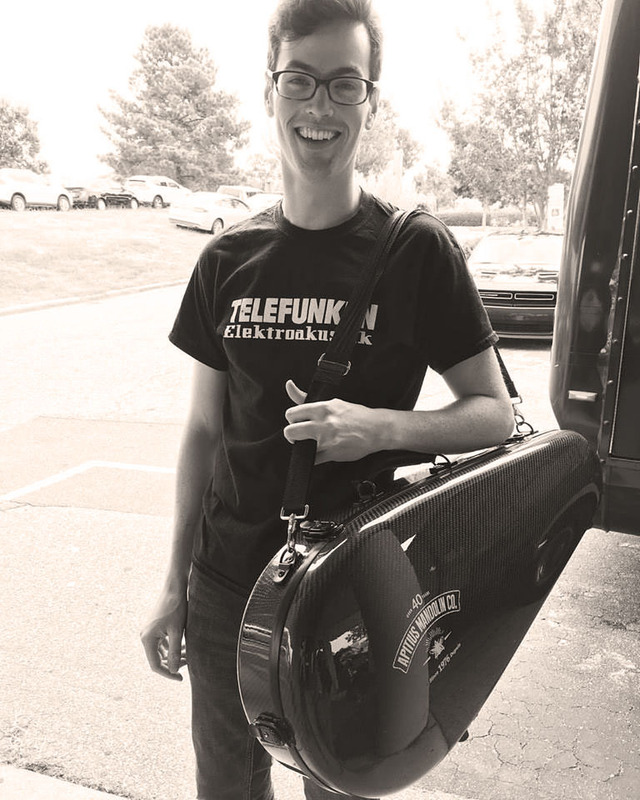 25% of total purchase amount to be put down when construction of your instrument begins. From this point it is usually about 4 months to final completion of your order. Balance is to be paid in full before shipping. Note: All prices are in U.S. currency. Free shipping on all mandolins within Canada and the contiguous United States. (Inquire about shipping to other destinations.) I will pay the dreaded HST on Canadian orders. At this time, I am not required to charge tax to customers outside of Canada. Any V.A.T.s imposed on international shipments are the responsibility of the purchaser. New! Apitius Mandolins Now Come with a Custom Fitted Hoffee™ Case! I am happy to announce that I now include a professional, touring quality, Hoffee™ case with all Apitius mandolins. * These cases are custom fitted using my blueprints and are branded with the Apitius logo. Hoffee cases provide the ultimate in protection for your investment. The carbon fiber shell is rigid yet light-weight. The entire case weighs only an ounce or two more than my previous standard cases yet provide much more protection. Hoffee cases support the mandolin around the perimeter, where it is strongest and do not put pressure on the top and back plates. The neck and peghead is also fully supported by the ultra plush padding. I cannot say enough about these cases! 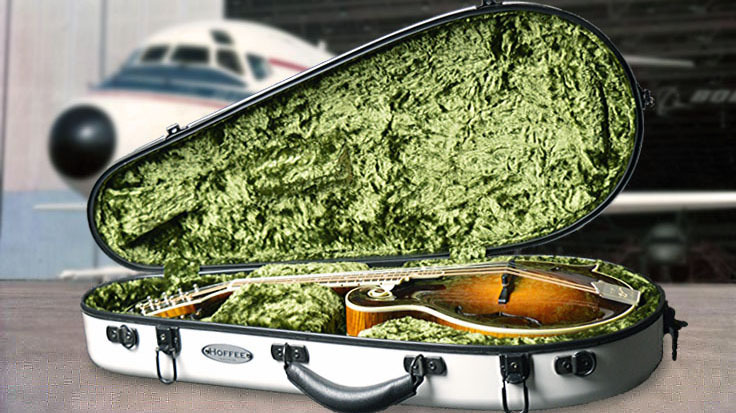 Standard colors for cases are charcoal exterior with green interior for F and A model mandolins and white exterior with green interior for Jazz models. Other color combinations may be available as well as up-grades such as Thinsulate® thermal insulation and shoulder or backpack straps. 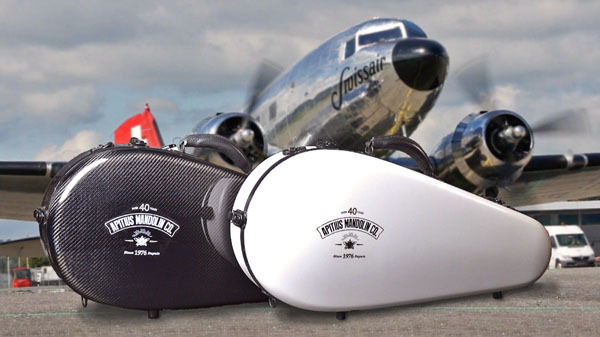 *Please inquire about cases for larger sized instruments such as mandolas or mandocellos. David Benedict with his custom Hoffee flight case. 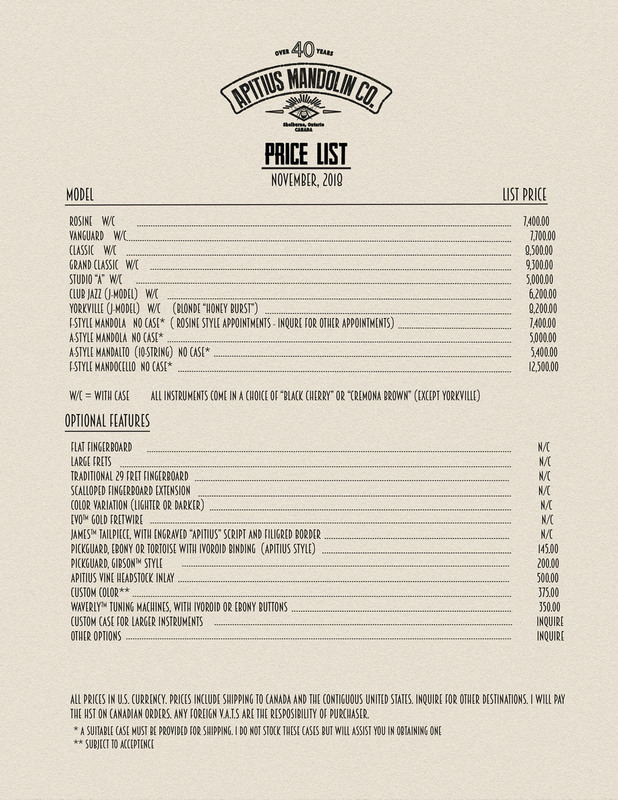 Below is my current price list*. You can click here for a more printer friendly PDF version. 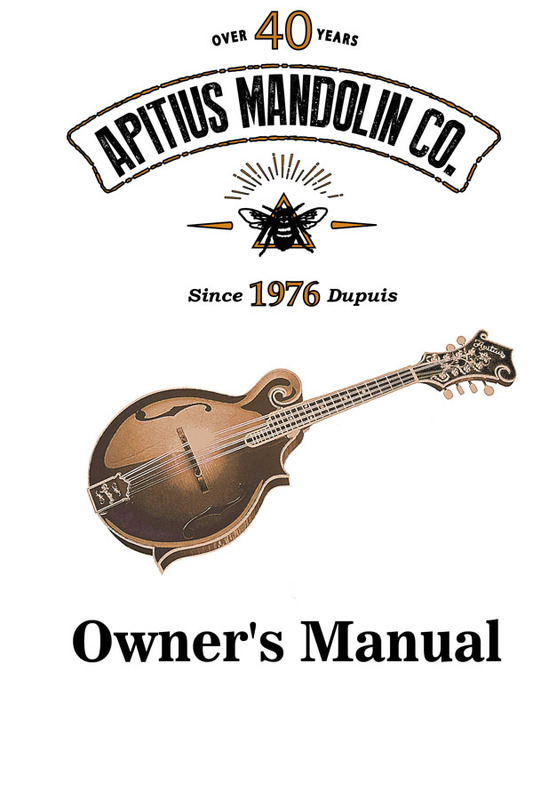 Click the image above for a printer friendly version of the Apitius Mandolin Owner's Manual. All Apitius instruments are made in a controlled environment of 40% relative humidity. Most experts agree, this is the level that will afford wooden objects the most tolerance to changes in humidity typical of North America. The further away from this 40%RH baseline that the instrument is subjected to, the greater the chance of seam separation or cracking of the wood. This is especially true on the dry side of the equation. This is the nature of wood. Fine instruments are built close to the line of structural integrity in order to achieve the best possible tonal qualities and therefore require care and diligence on behalf of their owner. The rewards are an instrument that responds beautifully to the musicians touch and allows his or her creativeness to be fully expressed. All Apitius Instruments are covered by a Limited Lifetime Warranty to the original purchaser against defects in materials and workmanship. Oliver Apitius, upon notice of any defect, will repair or replace, at his option, any defective part or material. Purchaser shall assume and pay the cost of all shipping or postage charges of the repaired instrument. The instrument must be accompanied by the original bill of sale which must include the retailer’s name, your name, the date of sale and the serial number of the instrument. This warranty specifically excepts damage incurred by abuse, neglect and normal wear or cracking of the wood or finish due to changes in temperature and/or humidity. Remember, the best warranty is a careful owner. I take great pride in building instruments that will last for generations. If I build a problem into one, I want to take care of it, but I cannot be responsible for problems resulting from mistreatment or carelessness.